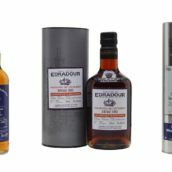 This year’s showpiece Whisky Show masterclass featured three contrasting figures. 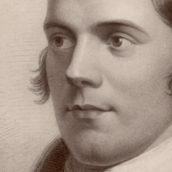 The first: an avuncular figure who has held every job possible in a whisky distillery. The second: an innovator, famed for his experiments with casks. And the third: a legendary figure who lets his whiskies do the talking. 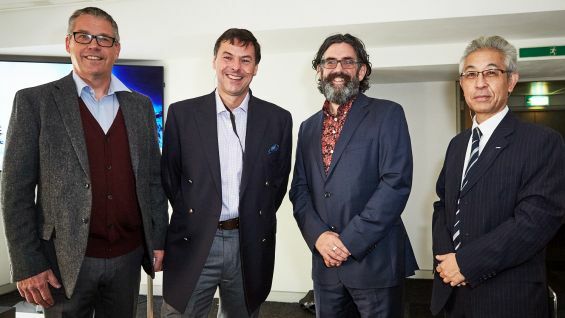 Our three Masters of Whisky were, respectively, Alan Winchester of The Glenlivet, Bill Lumsden of Glenmorangie and Ardbeg, and Shinji Fukuyo of Suntory, with whisky writer Dave Broom on hosting duties. Indeed, Dave’s first act of this ‘Sunday morning service’, as he put it, was to reveal that moments before the masterclass began, the talk among the three Masters was not in-depth chat about reflux levels and cut points, but far more importantly, the latest news about Strictly Come Dancing. Each Master brought a trio of whiskies with them, all of which they helped to make or which meant something to them personally. Alan opened proceedings with The Glenlivet 1983 Cellar Collection, a beautifully fruity, well-balanced dram with notes of pineapple, orange and plums, a vatting of 10 casks of 1969 Glenlivet. Alan said that Glenlivet was a very different place in 1969, with coal-fired stills and worm tubs at the distillery, and explained that his chief blender ‘goes ballistic’ when people describe Glenlivet as a ‘light’ whisky. Next up was a 15-year-old Auchbreck, bottled in 2014 for the Spirit of Speyside festival, which had that trademark fruit-salad aroma, but was noticeably richer on the palate. 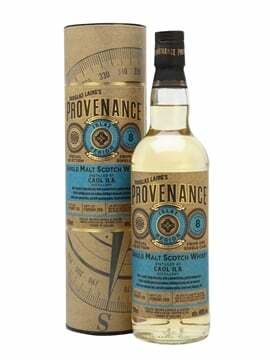 Alan’s final dram was a mystery vatting from various years, bottled at 47.6%, and a combination of US and European oak, the latter bringing out rich, spicy notes of ginger and orange. 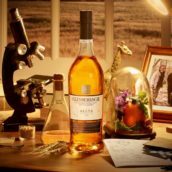 Eleven years later, Bill started work as Glenmorangie distillery manager, but found the site ‘in disarray’. He said his efforts to instil discipline among his team was tougher than expected, with the staff unsure of this ‘dirty west coaster from Greenock’. 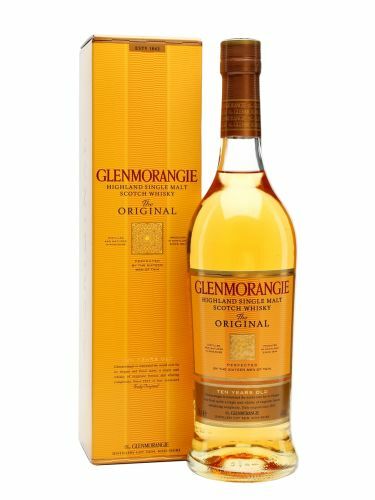 We began with ‘the most beautiful Glenmorangie I have ever tasted’, as Bill put it – a 1981, bottled in 1998, with delicious notes of toffee, roasted almonds and soft floral notes. ‘It’s one of those whiskies I could sit with my nose in all day. If I could make all my Glenmorangies like this, I’d be a happy man.’ The fifth whisky of the masterclass was named Jim Murray’s World Whisky of the Year in 2014 – Glenmorangie Ealanta, a riot of malt, honeycomb and marzipan. Bill described it as ‘like a piece of butter rolled in sugar’. He ended with Glenmorangie Signet (‘my magnum opus’). Bill said he had always wanted to make a whisky ‘where you treat the barley like coffee beans’, and so he created Signet with a high proportion of roasted chocolate malt, as used in stouts and porters. He added that the entire project was supposed to be a secret, but the team found out ‘because the distillery smelled like Starbucks’. 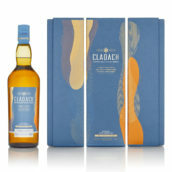 The whisky itself was a chocoholic’s dream, with rich, dark notes of mocha, honeycomb and chocolate orange. Shinji was the last Master to take to the stage. After joining Suntory in 1984, he started at Hakushu before moving to Yamazaki in 1992. He opened with a beauty: The Chita single-grain whisky. 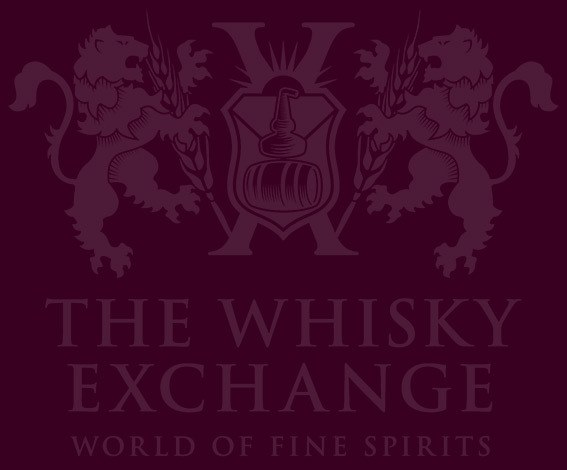 He said: ‘This is not a serious whisky – it’s comfortable and relaxing. 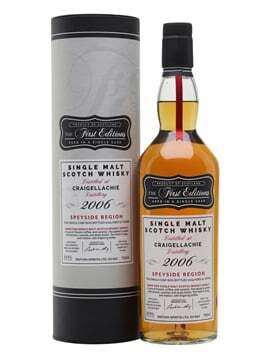 Malt whisky can be very tough; this is very easy.’ His second choice was at the other extreme: a heavily sherried 1984 vintage bottling of Yamazaki, which oozed brambly fruit, rum-soaked raisins, cinnamon, clove and bitter chocolate. 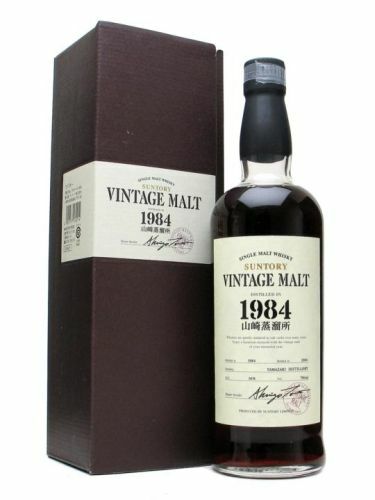 If the 1984 bottling caused contented purring among the audience, Shinji’s final whisky provoked gasps when he produced a blend aged in Japanese mizunara oak, some of which contained Yamazaki from 1960. Spicy and aromatic, the whisky was heady with incense, roasted nuts, dried fruit and cinnamon. 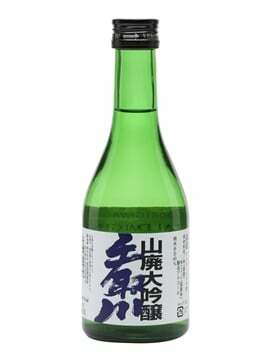 ‘Mizunara trees take 150 years to grow to the right size,’ explained Shinji, adding that they bring sweet, coconut notes to the spirit at first, but after two decades, add a rich spiciness to the whisky. Last year’s Legends masterclass had the feel of a rock concert, with Richard Paterson and Jim McEwan trading blows, and the former throwing whisky around the room, but this tasting had a very different feel – more elegant and subdued, with those present immersed in nine exceptional drams, and a clear respect between our three Masters of Whisky.